I have been asked by Association of Muslim Schools management to provide some more detail on the event Cooperative Learning: “21st century British Muslim – the Solution?” to take place on 3rd February in London. The recent events in Paris have only underlined the importance of this course, and the course unit Negotiating conflicting values & viewpoints has been fully committed to dealing with the attacks. For this reason, we wish to make RE and Humanities teachers, and others responsible for PSHE, SMSC and Citizenship in state schools and non-Muslim faith schools aware of this event. We do so in the hope of presenting Muslim faith schools as a resource rather than being seen as a part of the problem. The Cooperative Learning techniques presented are content void, have instant positive impact, and will fuse with the needs of your specific school. In summary, Muslim faith schools today are focused on four key areas: The first two are the main reasons parents send their children, the third is more a priority among Muslim educationalists, as made abundantly clear at last year’s Islamic Education Conference. 1. Outstanding attainment, to ensure social mobility, and to meet DfE requirements. 2. Preservation of cultural and religious identity, however this is defined. 3. And that both have the broader aim of benefiting wider society, i.e. 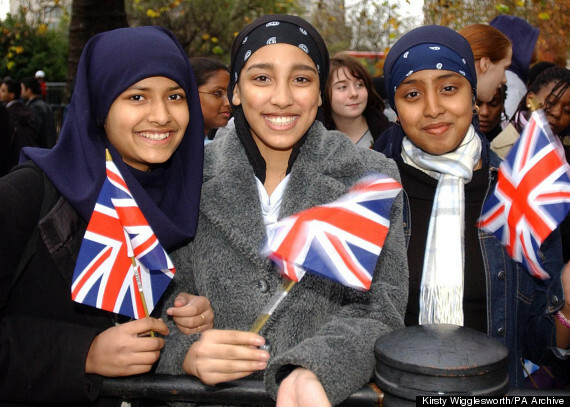 make Islam and Muslims widely recognised as a valuable, effective force for good in Britain, as was traditionally the case wherever the religion took root. See Islamic Education Conference #1; The Holy Trinity of Muslim Education for more information. 4. That schools survive the next two years, as controversies over British values, safeguarding, SMSC etc. multiply and intensify. To Muslim faith schools with often limited resources, these four seem to be almost mutually exclusive requirements; the upcoming AMS UK course, 21st century British Muslim – the Solution? is a tentative first step at effectively unraveling this conundrum. The past 20 years have seen the development overseas of a structural approach to Cooperative Learning to create an effective version of the student-centred learning environment demanded by businesses and governments. (For full details on this issue and its connection to Muslim communities, see transcript of Edinburgh Seminar “The Student- Centred Classroom & The Self-Centred Student…”). Cooperative Learning ensures tight classroom management and reliable assessment, is transferable across all subjects and levels, and fuses seamlessly with existing lesson plans and materials. Though based on a comprehensive theoretical framework, it is a practical classroom tool, easily mastered even by NQTs and unqualified teachers, and may be deployed with immediate effect. Note that any lesson that integrates Cooperative Learning will comply with Ofsted student-centred ideals and the collaborative learning facilitated has been described by the Sutton Trust’s EEF Teaching and Learning Toolkit as the best use of Pupil Premium. More importantly, Cooperative Learning integrates subject matter with social skills, higher level thinking and advanced language needed for the fast, fluid and unpredictable nature of 21st century education requirements, job markets – and even constructed cultural conflicts such as “Islamic vs. British values.” We refer you to the recently published lesson plan dealing with the Paris attacks, which may be equally deployed in Muslim faith schools. We aim to present this lesson plan in the course as a seperate unit entitled Negotiating conflicting values & viewpoints: political, cultural and religious. This instability means there is no conclusive answer; hence the question mark in the course title. Rather, the solution is precisely the open-ended, yet subtly guided, social constructivism of Cooperative Learning which may potentially facilitate both outstanding attainment and tools for empowered students to formulate authentic British Muslim identity ahead of media and politicians. For this reason, it is my intention that ideas and feedback from this course should be used to organically adapt and develop these strategies over time through a nationwide network of interested educationalists. Educationalists outside the Muslim community looking to engage, consider attending this year’s Healing Fractures Educators’ Workshop, a full-day follow-up to last year’s success. NQT video interview on Cooperative Learning, PSHE, peer support, social skills. Deputy head video interview on Ofsted compliance. Head Teacher video interview on Sutton Trust and Pupil Premium. More on this year’s Healing Fractures Educators’ Workshop. NQT on adopting Cooperative Learning … as an NQT.